The old Jewish Quarter in Prague, called Josefov, hides a large number of historical buildings, secluded corners, hidden lanes and other interesting places. One of the oldest and most interesting buildings in the Old Jewish Quarter is the Old Synagogue, located next to the Jewish Town Hall. Only very few synagogues in the world have such an extensive history as the famous Old New Synagogue in Prague. It is the oldest working synagogue in Europe and its history dates to the second half of the 13th century, when it was not called Old-new, but just New Synagogue. The original Old Synagogue was located in Dušní Street, built at the turn of the 11th and 12th century and it was demolished in 1867. After the demolition of the original Old Synagogue, which is now replaced by the Spanish synagogue, the New Synagogue was renamed to itscurrent name. The new synagogue has gradually become the center of life in the Jewish community in Prague. The nearby Old Jewish Cemetery was built in the same period as the Old-New Synagogue. Around the synagogue there were spaces created that served for various purposes over the years, especially as a marketplace, or a place where people from nearby streets did their laundry. The synagogue was built in the early Gothic style that was brought to the Czech lands by the monks of the Cistercian Order from France. The main part of the synagogue, which includes two temple boats, was built in this style. The southern entrance hall and the women’s gallery on the west side was built later on. The reason was, that during Jewish ceremonies, only men can be present in their own synagogue. Over the years, the building has undergone many reconstructions, but the basic layout of the Old-New Synagogue was not altered. The synagogue has always been puristically repaired, meaning without any significant interference with the original architecture. The interior of the synagogues boasts ribbed vault ceilings with broken arches that are probably the most characteristic feature of Gothic architecture. However, in this interior, the standard four rib vaults are always accompanied with a fifth rib, which is placed asymmetrically. The walls, originally decorated with frescoes, are currently free of plaster and frescoes. They are only decorated with seven biblical quotations written in Hebrew. The almost thousand-year-old building is tied to legends that only underline the local genius loci. 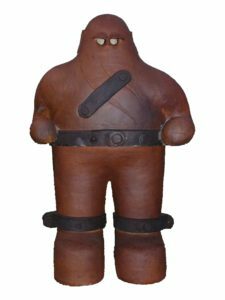 Rabbi Jehuda Löw, also known under the acronym Maharal (1512 / 1526-1609), allegedly kept an animated anthropomorphic being called the Golem on the grounds of the synagogue. 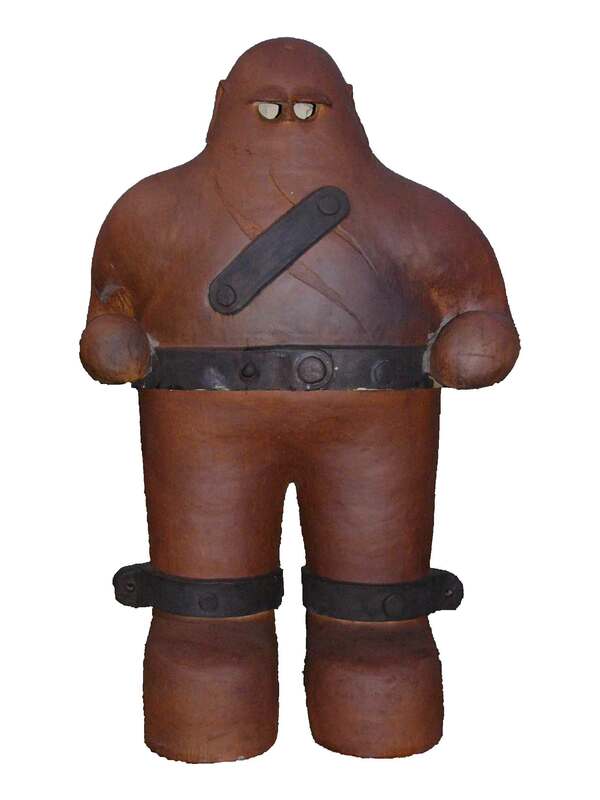 This clay “man” figure that obeyed rabbinic commands, or the commands of anyone that put a special scroll into him, is tied to several well-known Prague legends. Photograph of the mythical clay creatue – Prague´s Golem. Source. The Synagogue is also considered to be a generally safe place because, unlike other buildings in the Josefov Jewish Quarter, it survived fires, looting and other threats without any significant damage. According to one legend, the stones used to build the synagogues were brought by angels from Jerusalem, from Solomon’s original temple. These stones protect the building from being damaged and it is why it has survived for so long. And if you decide to visit the Jewish Synagogue in Prague, you should never sit on the chair of the Chief Rabbi. It is said, that anyone who does so is destined to die within a year. This is allegedly meant as a memorial for Maharal, however the seat was built in the Synagogue only during the 19th century. We leave it up to you if you wish to believe the tales or not. 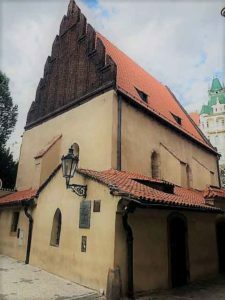 However, the Old-New Synagogue is definitely a place you should not miss during your stroll through the Josefov Jewish Quarter in Prague. It is definitely worth the visit and we recommend to listen to old Prague tales presented by the tourist guides. Purchase at the official website.